Compudynamics South Africa offers IT Support Services from Helpdesk, Remote support, Outsourcing, Onsite Support, Hosted Servers, Cloud Backups, Software Development, Web design, Networking and Cabling, Connectivity, IT Management, Project Management , Point of Sale, Warehouse software and IT Consulting. We have a team of highly skilled consultants, and are able to recommend and implement the right solution to fit your requirements. 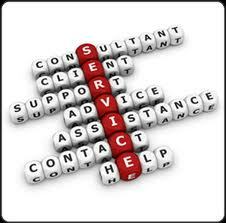 As part of our IT support services we also offer Project management and IT management on contract basis. We provide OnSite support by having IT experts on Call coming to your Business or Home to resolve any problems you may have on your environment. If any hardware requires any repairs we will take it of site, repair and return back to site. Our Onsite support service team will respond to all calls made to our call center (Call 011 452 0022, log a Call on our website www.compudynamics.co.za or email support@compudynamics.co.za). Customers do have the option to call on this service when needed (Adhoc Support) or have a support Contract where we will commit to agreed SLA (Service Level Agreement) . Agreed IT Services SLA can include Loan stock, to keep the customer running whilst the hardware is gone in for Repairs. We offer Ad-hoc reactive support as well as Proactive maintenance for sites that require regular weekly/monthly visits to check the health state of the system, including verification of back ups alert logs, and other errors to avoid potential crisis. We provide technical consultants from our team for departments needing less than a full-time, technical consultant of their own. Our team can work closely with your existing IT team to assist with new technologies or projects, providing knowledge transfer as well as hands-on assistance. We also provide InStore Support where our IT Experts will assist you with any Computer related problem. We provide no obligation free quotes on any requirements. Our Installation services covers Hardware and Software. We can roll out a hardware implementation or Software to single or multiple sites, and this can include Operating System, Computer Hardware, Anti virus or any other application you would like to implement. We provide a range of services around Hosting, Websites, Emails with POP accounts as well as hosted Exchange Mail. Our Hosting also makes SharePoint functionality available as well as Antivirus and Cloud Backup. We have tailor made Hosted solutions for SME’s. We provide data recovery service by moving your data from your damaged Hard Drive to another device of your choice. We have equipment and team of experts to recover your data from deleted drives as well as damaged drives. 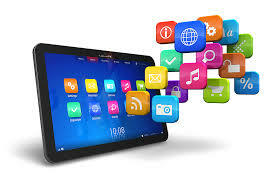 We have a team of developers on different platforms, for Servers, Desktops or Mobile devices. We can develop Applications to suit your needs. Our web development team, has delivered many web sites ranging from basic web site, e-commerce and other Web Based application specific to individual organization needs. We have partnered with Ghost Convey software providers, to enable us to provide a Total Solution Hardware and Software to attorneys. We have a comprehensive Point of Sale system that covers all Sales, Reports, Re ordering reporting, Stock Management and more. Our point of Sales Solutions caters for single and multi till environments as well as Single and Multi Store environment with capabilities for centralized and decentralized controls, Data consolidation, suggested and many other rich features to assist any Retailer in Managing their Business. Our Retails Solutions cater for any Industry from Hospitality, Spares, Pharmacy, Fuel, Clothing, Fashion and other. Point of Sale Solution are available on a once off purchase or Rental options. We have also a Cloud POS (Cloud Point of Sale), solution available from basic functionality to the most Complex options. This is ideal for most users where do not want to have the infrastructure in house, as well as having to worry about backups and system failure. Also ideal for users that operate from Expo or any other temporary facility and may only need POS for short periods. The registration and use of the software can be made for month to month at a very low rental. We can provide Point of Sale and Retail Management Solution to different industries such as Clothing, Footwear, Spares, Fuel and Convenience, Pharmacy Software and Others. We provide all hardware and services required for your Network, as well as a complete Network Installation and Cabling from end to end (Wired and Wireless). We can also facilitate the ADSL application if Internet access is required. 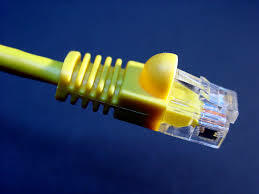 We can offer total Broadband and Fibre solutions for you Voice and Data connectivity.